One day, I'd like to have one just like that. Except with a Ti fork up front. 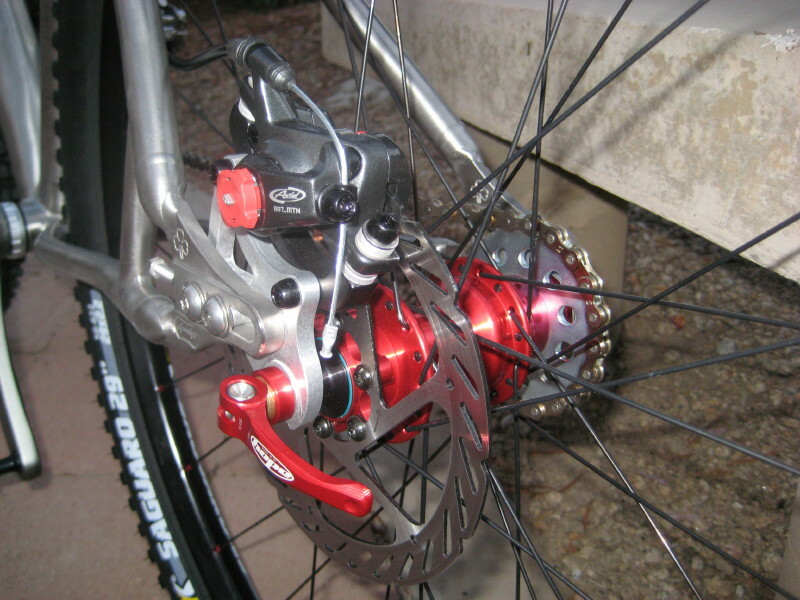 I would put on some Shimano skewers to go with all the other nice stuff. 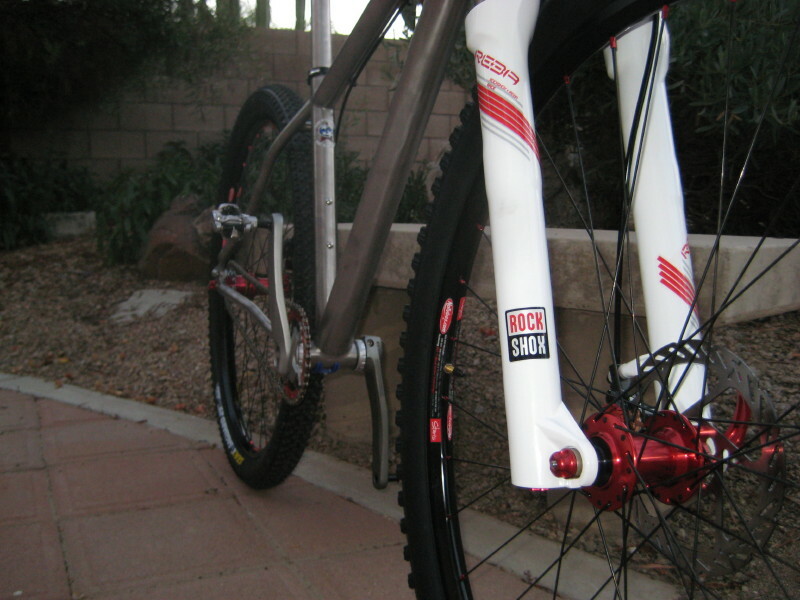 One piece you should never compromise on any mountain bike is the QRs. 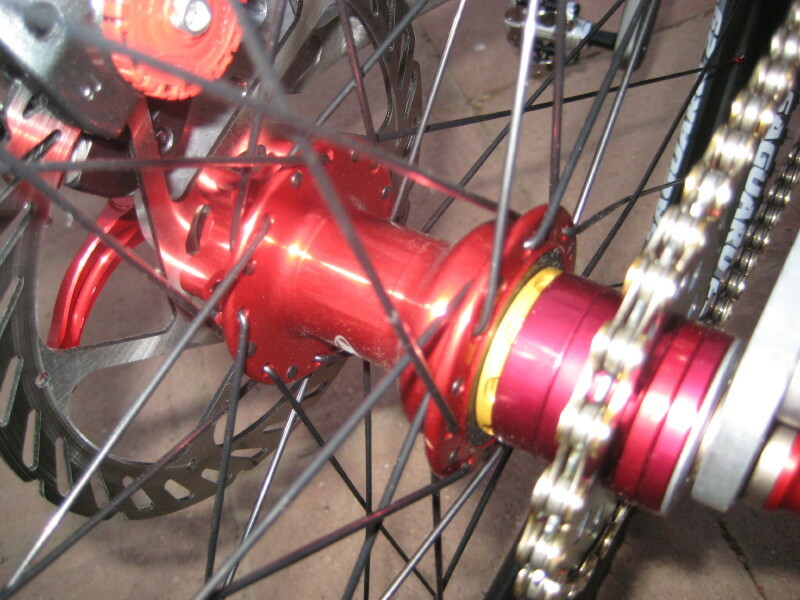 If you're worried about weight then look at your wheels, bar ends, cranks, chain, and extra headset spacers. Seriously, all 'fun police' aside it looks awesome and I really hope you enjoy the krahp out of it!!! ride it hard. if it gets dirty, sooooooo what. it will be a fun ride. 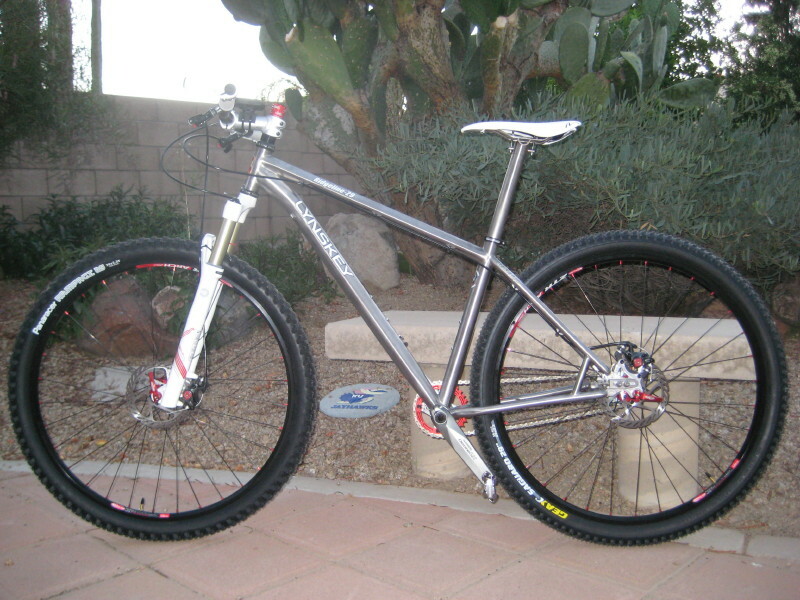 Ugh, another immaculate clean Ti bike, these bikes are starting to lose their "lone wolf" status. 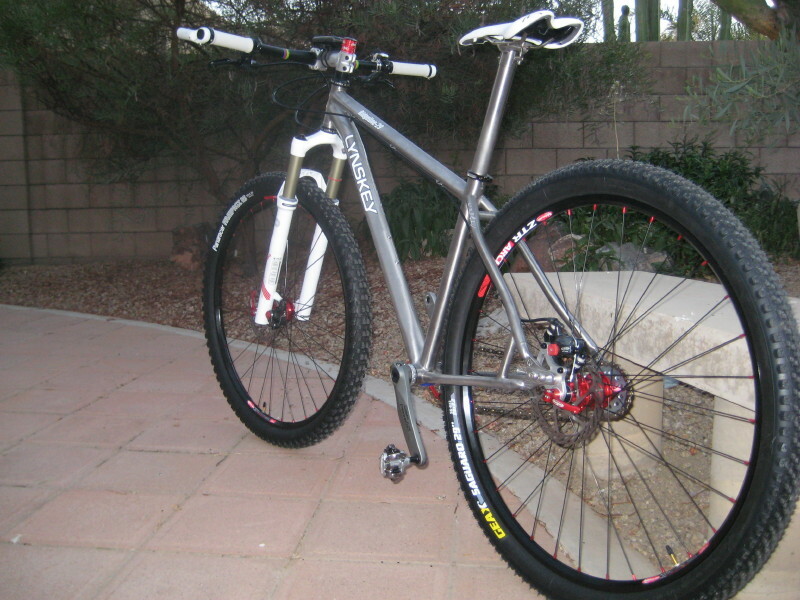 Nice bike, I thought of gettting a Ridgeline at one point but couldn't see dumping the coin. 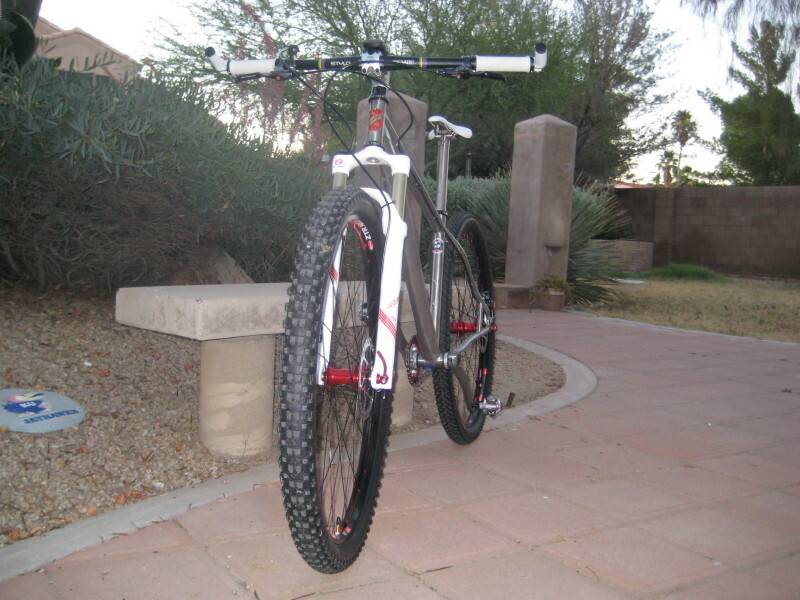 I agree with p nut, would look better with a rigid fork. 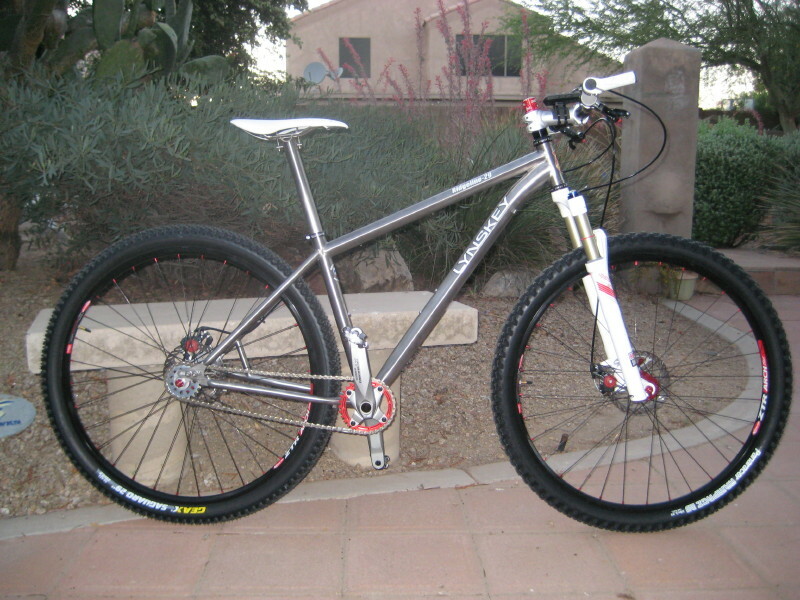 Even if you stick with the susp fork, (if bling is your goal), I'd drop the white option. Super sick build. Damn near perfect. Thanks for all the comments...rode it today for the second time. Did some of the brutal climbs in the PHX area that I used to do on the 26 FS bike...amazed at how well it climbed although I walked a couple sections I usually ride...still faster though over the whole route. Regarding parts...obviously we all have our favorite components..I figured put $ into the frame and wheels then slowly upgrade the rest if/when needed. I replaced some cheap brake cables today with some Jagwires and man what a difference... 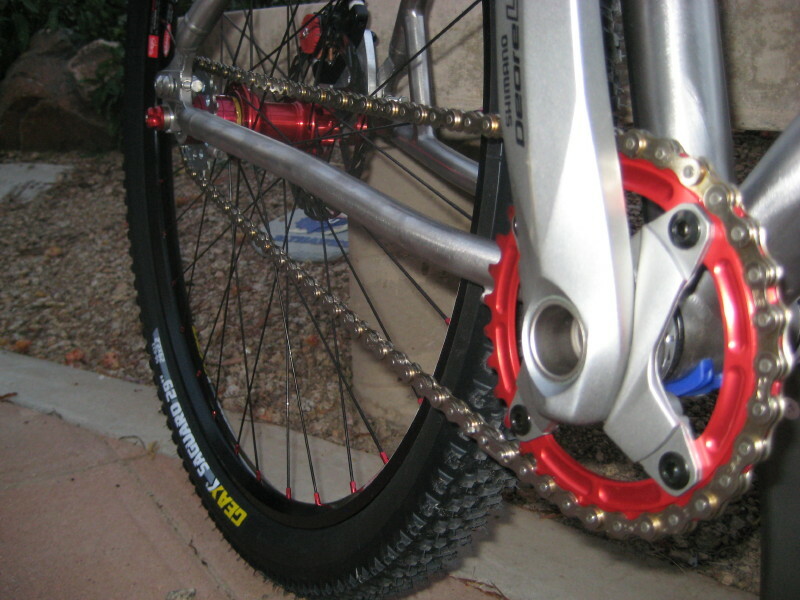 If I could get some xtr cranks and polish them good...ahhh....that'd be sweet. Excuse me while I change my shorts. That build is insane. At the end of the day, my bike is a bike, whether its made for XC singletrack or DH, I can make it do what I want. 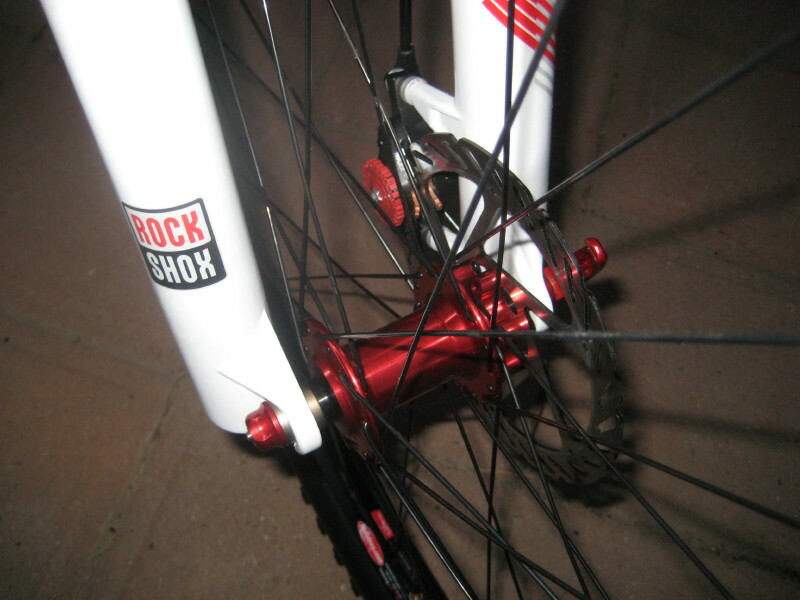 What kind of seatpost is that? There is no diff between LX & XT other than weight. XTR, why bother...this is a SS. Got the seatpost on ebay from a Chinese seller...hope it doesn't break and impale my a$$ ! What do you have against Hope qr's? Beautiful! As stated, you spent your money wisely. I too just ordered some new cables for my BB7's in the hopes of a better feel. Can't wait for them to get here. 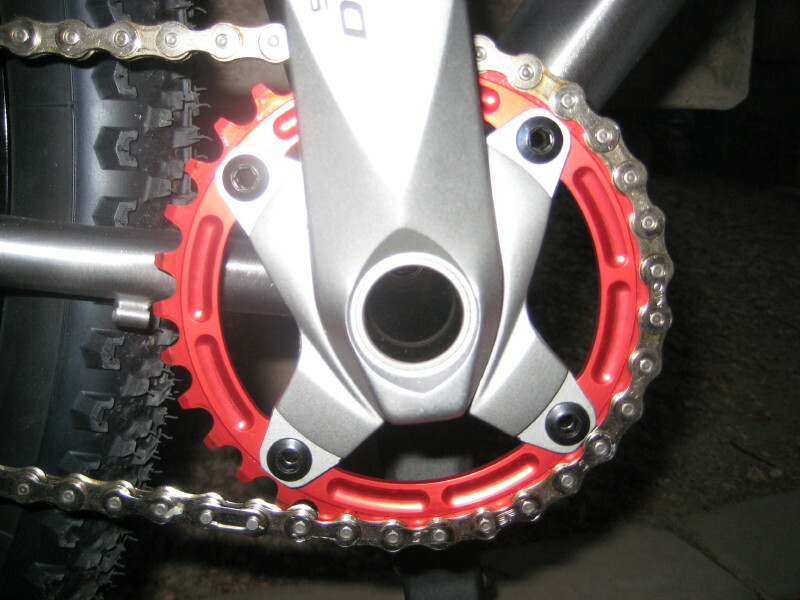 Oh, along with my new XTR crank from Crazy8! (I may have the crank but I would much rather have your frame any day of the week!) Congrats!